The software will not proceed to export the album until all image files are relinked. In the Image Browser at the bottom, choose to see only Missing files in the drop-down. Find the missing images on your computer and press Open. 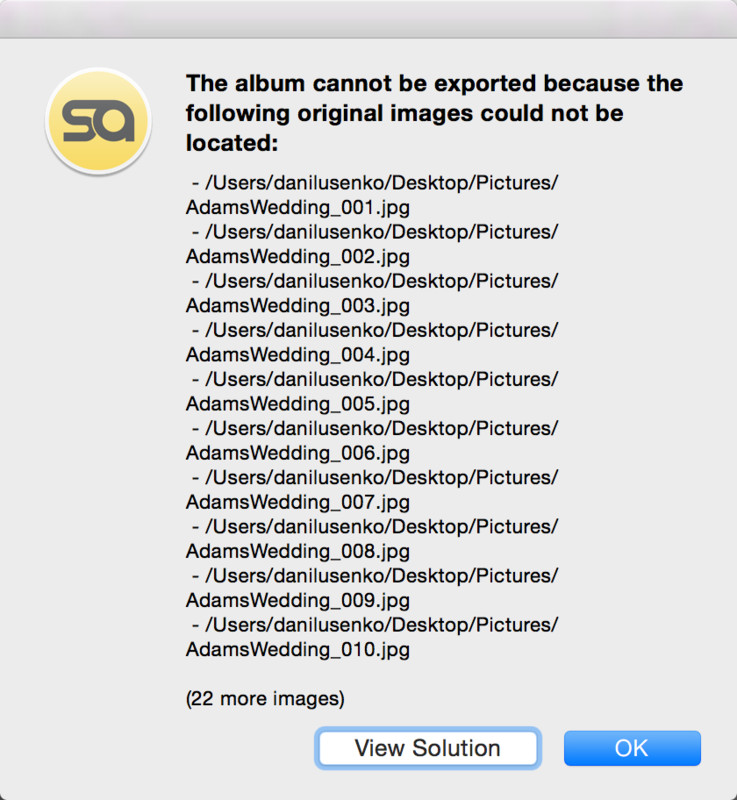 Note: If your images are not all in one folder, you may need to repeat the process for any other missing images.